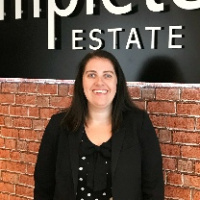 I have worked in Estate Agency since 2001 and started as a Junior Negotiator in Kenilworth working for Halifax Estate Agents and gradually worked up to become an Estate Agency Partner for the business in Coventry, Warwickshire and The Cotswolds. When the market took a turn for the worse back in 2006 I got made redundant and Halifax Estate Agents also closed down due to the downturn. I then started working for Complete and really enjoy my job and working at Complete with a fantastic Sales and Lettings Team. I have a wealth of experience working in all different types of markets and I thoroughly enjoy getting my Clients best price possible as well as providing honest and clear advice throughout the process. I am happily married and have a 3 year old boy who keeps me on my toes. I love travelling and especially enjoying going out to Spain, Dubai and Abu Dhabi for holidays.